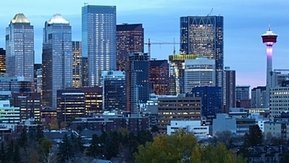 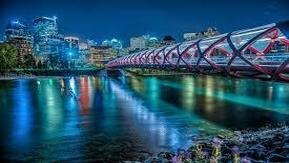 Search all Calgary homes for sale with real estate listings, luxury homes, condos, community and real estate statistics. 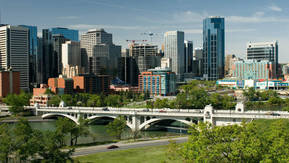 Calgary is divided neatly into quadrants - northeast, northwest, southeast, inner city laid out in a grid system. 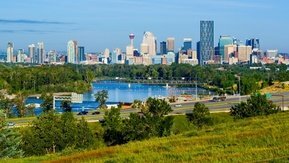 The northern section is among the most sought-after places to live, with new communities like EvansRidge and Skyview Ranch that offer green space and mountain views along with easy access to shopping. 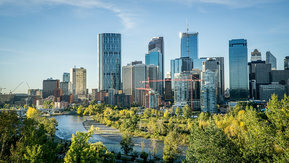 The Bow River winds through the southern quadrants, which feature well-established residential communities like Evergreen Estates that are close to shopping, restaurants and transit. 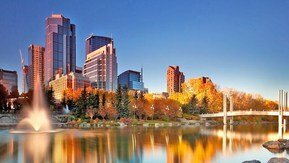 Listing information last updated on April 25th, 2019 at 8:00pm CDT.